Election Money... Bullion Van Loaded With Currencies to Tinubu's House For Election In Broad Daylight. This is Nigeria, indeed. 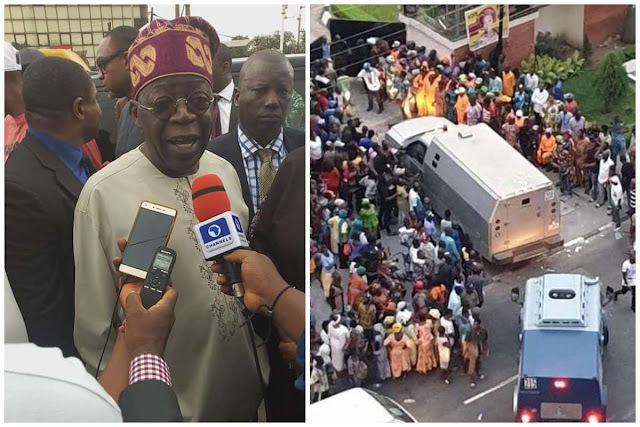 APC national leader, Asiwaju Bola Tinubu, has told those asking questions about the presence of bullion vans at his residence in Bourdillon area of Ikoyi, Lagos, to mind their business, adding that he can keep his money anywhere he wants. Tinubu said this while fielding questions from journalists on Saturday in Ikeja. Some pictures had gone viral on social media on Friday showing two bullion vans making their way into Tinubu’s premises. 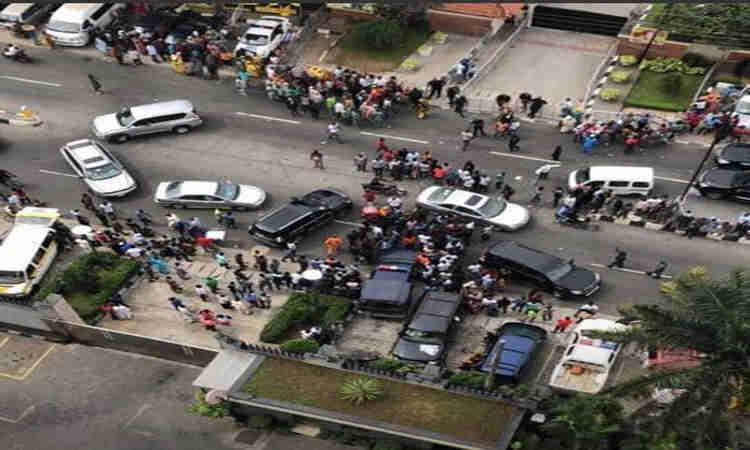 According to speculations, the vans allegedly contained huge sums of money. Tinubu simply said he was not a government contractor and therefore had the right to spend his money as he pleased. He said, “What is your issue with bullion vans in my house? I have not done any government business in the last five years. So I didn’t steal government money. And the bullion van was not said to contain election materials. So what offence have I committed?